The holidays are here. And you know what that means in Sonoma Valley. It’s time for everyone’s favorite marvels of edible architecture. Presenting the 11th Annual Sonoma Valley Gingerbread House Contest. Throughout the valley, wineries have been constructing cake and candy masterpieces in the hopes of winning your vote. And, while it’s always best to visit in person, you can get a look at these spectacular sugar structures and vote for them here, on our facebook page. Here’s how you can get in on the fun, and possibly win a case of Sonoma Valley wine. Visit all six participating wineries and see their sweet pièce de résistance in person. This is the most fun way. In fact, Pure Luxury Transportation is offering special pricing. Call 800-626-5466 and mention “Sonoma Valley Winery Gingerbread Contest”. Votes cast at the wineries will be eligible to win one of the cases of wine. Vote for your favorite by clicking here. 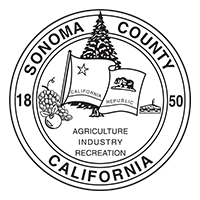 Once you register and vote, you’re automatically entered in the sweepstakes for the second case of Sonoma Valley wine. Santa’s workshop is full of elves busily preparing for the holidays, just as B.R. Cohn Winery diligently crafts elegant and delicious wines every new vintage. Amazing gingerbread art by Supreme Sweets. This year, BRYTER’s creation will feature the vines and wines that continue to contribute to their success and root them in the Sonoma Valley community. This year’s entry is a “Vertical Village” that celebrates Sonoma’s roots, featuring an imaginary mash up of some of Sonoma’s beloved historical buildings, alongside Chateau St. Jean’s iconic tasting room. Crafted by 9-year gingerbread veteran Kelly Cleaver, it’s Chateau St. Jean’s grandest effort yet. Confectionary Construction Chronicles: Kelley at Chateau St. Jean tells us that “it took a village to create this village.” Construction took place in a spare room dubbed “the Gingerbread Workshop” for an entire week. She reminds us that no professionals were involved, and thanks the many people who contributed. Highway 12 Vineyards & Winery – Click here to Vote! Known as “Little Masterpieces”, it took many little hands to build this confectionary replica of the Historical Dairy Building that now houses Highway 12’s tasting room. The walls of the piece are decorated with individual “works of art” added by kids from the Boys & Girls Club of Sonoma. Confectionary Construction Chronicles: The good people at Highway 12 got the kids involved in their candy-ful creation. 2015 defending champions, the Larson family has been farming in Sonoma since 1877. Chef Linda Rodriguez’s 2016 gingerbread masterpiece highlights the family’s rich and colorful history in Schellville, in the beautiful Carneros end of Sonoma Valley. Confectionary Construction Chronicles: Linda Rodriquez of Linda Lou’s Curious Cakes is a thirty year culinary veteran with an international background. Her aesthetic ranges from complex multi-plated desserts to classical wedding cakes. We assume this is the only time she created Labs and saddles. Sonoma-Loeb – Click here to Vote! Sonoma-Loeb joins the 2016 competition with a piece showcasing their legendary wines and vineyard sources alongside their new tasting room just off the historic Sonoma Plaza.